Internet scammers have been part of the internet for almost as long as the internet has been made available to the general public. To honest, you have to be an exceptionally dim person in order to fall for some of these scams. I mean seriously, who falls for an e-mail that says some Nigerian Prince wants to marry you because he “needs an educated and progressive wife”? Once you provide their “trustworthy” sites with money and all of your personal information, starting from your credit-card pin to the colour of your underwear, you risk the chance of letting your bank balance drop faster than a dubstep beat. 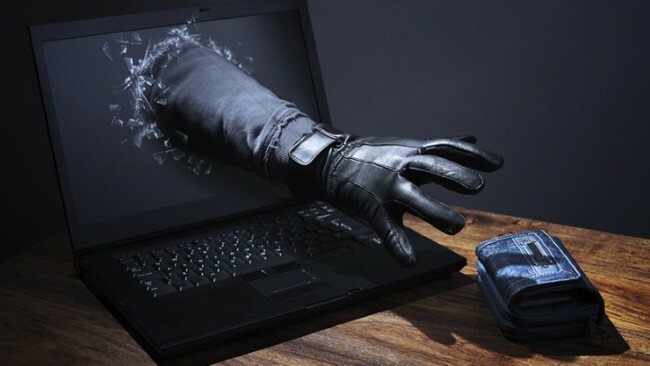 Here are some of the most popular online scams that have been prevalent with the advent of internet. So you’ve been hearing about that tsunami that ruined thousands of lives and homesteads and you want to help in any way you can. And all of a sudden, you get an e-mail from a good Samaritan who just wants to help all the people of the world. All he needs is $10 from you so that he can buy food for the impoverished children of Ethopia. But in truth, the only thing he’ll be buying with that money is a brand new Iphone. How bad can working from home be? You see an advertisement or get an e-mail saying that you’ve been randomly selected to be employed from home. All you have to do is send them a small amount to buy sundry such as envelopes, staplers and pens to be sent to you as per “company policy”. Yep, we all know where this is going. Well, this is a classic. This involves an email being sent to you from your bank or Amazon, eBay or any other site that requires your credit card and bank information. Once you enter all that information, some Slovenian teenager gets all of your information and before you know it you’ve had thousands of dollars transacted out of your bank. Huddle up, all you forever alones that frequently shadow the dating sites, I’ve got a story to tell. Remember that girl that messaged you through the site and after talking for a you realized that you were just made for each other? And then she needed the money to come see you and even though you sent her some, she had to “postpone”. And that time when she needed help with her rent or her hospital bills and you were more than happy to help out? Well, ermm…sorry to be one to break it to you, but she isn’t real. Sorry bro. I mean come on people, how can you guys still fall for this? This has to be the oldest one in the book. So this rich person in Nigeria passed away and he wanted to share his inheritance with just one random person. That person is apparently you. YAY! Once you send them just about $1000 as legal fees and for paperwork, you’ll be millionaire. So you send them the money and you wait a month. Guess much money you get after a month? Yep. Nil. Seriously people, it seems common sense is not that common anyways.